Adolf Hitler, who was born on 20th April 1889, was a notorious and now widely-referenced figure who, along with the Nazi party, largely instigated the events that led to World War 2. 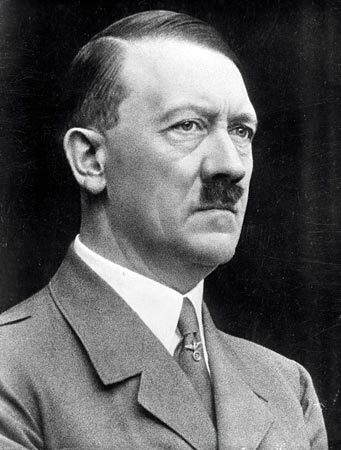 An Austrian-born German politician and the leader of the National Socialist German Workers Party, Adolf Hitler was the chancellor of Germany from 1933 to 1945 and the dictator of Nazi Germany from 1934 to 1945. He is commonly associated as being a kingpin figure in the rise of fascism in Europe, World War 2, and the tragic events of the Holocaust. Hitler joined the German Workers’ Party, a precursor of the Nazi Party, in 1919. He then progressed to become the leader of the NSDAP in 1921. In 1923 he attempted a coup d’état, (known as the Beer Hall Putsch) in Munich. This failed event led to his capture and eventual imprisonment. Upon his release in 1924, Adolf Hitler began to gain support by actively promoting Pan-Germanism, antisemitism and anticommunism in Germany via the use of Nazi propaganda and what some believed to be ‘charismatic’ speeches. In 1933, Adolf Hitler was appointed as chancellor and at this time he began to transform the Weimar Republic into the Third Reich; since defined as a single-party dictatorship based on the ideology of Nazism. He vowed to establish a brand new order of absolute Nazi Germany to spread throughout continental Europe. Many of Hitler’s foreign and domestic policies had the intention of seizing living space (Lebensraum) for the Germanic people. Embarking on an invasion of Poland in September 1939, the actions of Hitler and his party triggered the outbreak of World War 2 in Europe. German forces and their European allies occupied the majority of Europe and North Africa in 1941. However, during the events of World War 2, these gains were reversed by Allied armies, and in 1945 the Allied armies finally defeated the German army. Had this not been the case, Hitler’s plans for a ‘pure German race’ may well have become a reality. During the Battle of Berlin in 1945, in the last stages of the war, Hitler married his long-time mistress, Eva Braun. Just 2 days later, on 30 April 1945, he committed suicide to avoid his impending capture by the Red Army. Adolf Hitler’s death marked the defining ‘end’ of World War 2 for many people; as people across the world celebrated the end of Nazi dictatorship. Very few people who are alive today are unaware of the actions of Adolf Hitler, his Nazi army, and the atrocities that took place during World War 2. The holocaust alone took the lives of an estimated 6 million Jews; it is now viewed as one of the darkest periods for human kind in modern times. Additionally, Hitler’s supremacist and racially-motivated policies led to the further deaths of approximately 5 million people. To this end, Adolf Hitler remains a figure of interest for anyone who wishes to learn more about World War 2 and the events that triggered many years of fighting.